In the corporate world, employees leaving a job are often asked to sit through an exit interview with HR about their time at the company. That concept doesn’t exist for Broadway performers, but we love checking in with stars as they finish up a successful run. 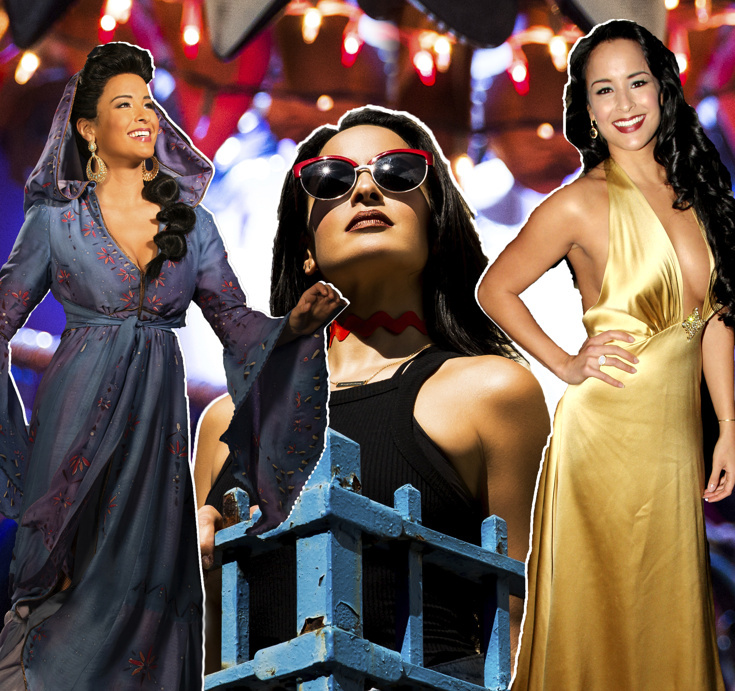 After clocking over 1500 performances in Disney’s smash musical Aladdin, original star Courtney Reed is leaving behind the palace walls for a whole new world beyond the Great White Way. As Broadway’s Princess Jasmine, Reed has delighted audiences with her magic carpet riding skills and gorgeous duet (“A Whole New World”). She has also revealed her Soul Cycle addiction, spilled secrets, answered fans’ questions, showed off the cutest side hustle ever, given us a peek into her daily life and shared what it really takes to be Broadway royalty. All the while, Reed has continued to be her upbeat, sweet and talented self. Here, the performer tells us about her bittersweet goodbye to the New Amsterdam Theatre, why she's psyched for what's next and what she's learned from her experience as a Disney princess. I felt like a huge weight was lifted! All of my years of dreaming...and it was finally coming true! Bittersweet. I honestly have been dreading saying goodbye to Aladdin since the day it began. I am very excited about opening the next chapter in my life, however I know that I will look back at these years as some of the best years of my life! Playing with all of my friends on and off the stage! Never letting negative comments bring you down. The people and relationships. The lifelong friendships and memories that will last a lifetime! Gratitude always. Never to forget that you have a responsibility to your audience to portray a character that has beauty, grace, confidence, independence, an open heart, strength and most of all love. This has to carry on to your own life, especially to your fans and the young generation that will have the privilege to see you perform. I've never viewed Jasmine as "just a cartoon." She not only impacted my childhood but she continues to do so for the young and older generations. I've seen it with my own eyes! My best advice would be to never let her become a parody or caricature. She's not bratty or whiny: she is the people’s princess, and cares very much for the people in her life and has a beautiful relationship with her father. The audience has to see that. The animators along with Linda Larkin and Lea Salonga did such an incredible job with that in the film. Future employees in my job position have the responsibility carry on that legacy. I have grown in so many ways. This role has enriched my life in more ways than one. I think that Jasmine’s qualities have really rubbed off on me even more than they already had (from seeing the film)! I've never been more confident, open and independent in my life. Also, my stamina for eight shows a week has surely grown! Well, I am thrilled to be reunited with my original Aladdin [Adam Jacobs] and original Genie standby [Michael James Scott] on the first national tour in L.A.! I could have stayed with this show for 50 more years, but I knew it was time to turn the page and get back into some of the other loves of my life. There are too many things to list that I will miss to name just one. But I am going to miss walking into the New Amsterdam, my second home, six days a week, and hanging out with my Aladdin family. The thing about this show is. it never felt like work. I will miss all of my onstage and offstage "moments," with every person. I will miss the laughter. And although I'm it won't be the last time, I will miss flying on a magic carpet singing one of the most romantic iconic songs of all time.